HTC has dropped three new handsets at MWC 2012 "designed to provide a premium smartphone experience". What that actually means is that these new devices climb above HTC's existing top-end Android phones to claim the top of its big Android tree. The HTC One Series will be widely available across a range of operators from the early summer – several operators and stores have already announced they will be stocking the new handsets. As you'd expect, the HTC One X has the best processor – an Nvidia Tegra 3 quad-core processor (one of those 4 cores plus an extra core type-things) clocked at 1.5GHz. The HTC One S features the new 1.5GHz dual-core Qualcomm Snapdragon S4 again clocked at 1.5GHz. The One V has an undefined 1GHz processor, most likely a Snapdragon of some kind given HTC's previous form. The three phones all feature new Unibody designs but made from different materials – the One X is formed from rather cool polycarbonate (super-lightweight with the ruggedness of metal, according to HTC), while the HTC One S is 'metal' and the HTC One V is aluminium. Here's the One X, One S and One V respectively. The One X has a 4.7-inch, IPS (no OLED) 720p HD screen (720 x 1,280 resolution) – it boasts a pixel density around the 312ppi mark, compared to the iPhone 4S which clocks in around 329ppi. The HTC One S features a 4.3-inch screen (540 x 960) made from Corning Gorilla Glass. The HTC One V has a 3.7-inch 480 x 800 display with "optical lamination for wider viewing angle and reduced reflections" but actually we don't like it due to the lip around the edge – it always catches your hand. Here's the display on the One X. All three handsets feature Android 4.0 Ice Cream Sandwich. But they all also have the HTC Sense 4 overlay. This includes HTC ImageSense, a new suite of camera and imaging features that speeds up image-taking. HTC says it's ready to take a photo in 0.7 seconds and autofocus in 0.2 seconds, plus you can even take photos while shooting video. The browser in the X and S support Adobe Flash. Here's the OS on the One S.
All these handsets have 802.11n Wi-Fi, HSDPA, HSUPA and Bluetooth 4.0 apart from, surprisingly, the One X, which only has Bluetooth 3.0 (presumably to do with the Tegra chipset). All have accelerometers, proximity sensors and a compass. The X and S also feature a gyro. All three have Beats audio enhancements. All three have microUSB and 3.5mm audio jacks. The One X also features an NFC chip. The HTC One X and One S cameras are an 8MP unit with full 1080p video. The secondary cameras in the X and S are both 1.3MP, capable of 720p video. There is no secondary camera in the HTC One V, which has a 5MP main camera. Here's the camera on the One X. The HTC One X features 32GB of internal storage, while the HTC One S has 16GB. Neither of those have microSD card slots, though the One V has microSD, up to 32GB. There's no internal storage in that handset. The top two handsets have 1GB of RAM while the One V has 512MB. 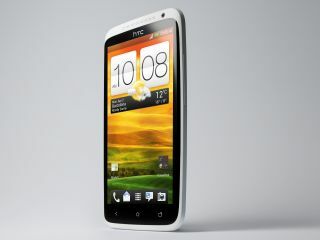 The HTC One Series UK release date is set for Q2 2012, so expect them in the late Spring.